10-13-12: A fairytale ending for our little princess! 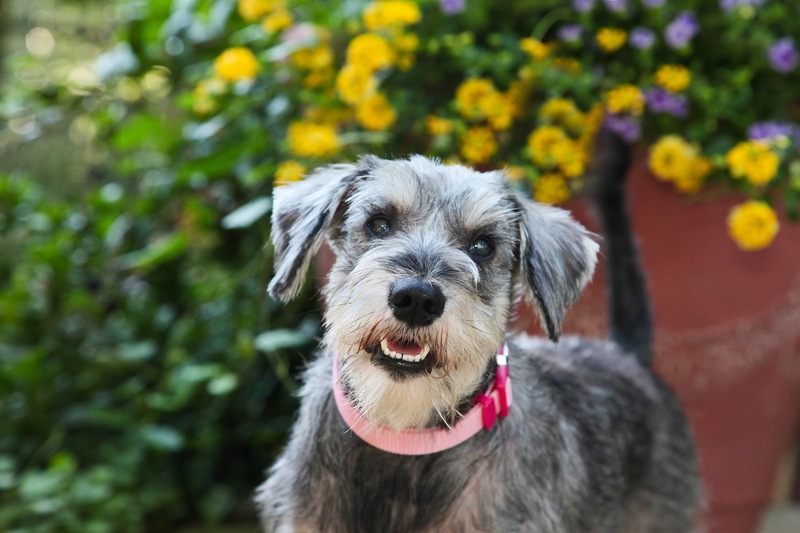 I am honored to be sharing the finale of a remarkable rescue effort for beautiful Mia, who is no longer the 'little blind schnauzer'. Look at her smile! She's come such a long way, and has been an exceptionally brave, loving and resilient girl to all she has met along the way. This email is photo and news-filled so be sure to read it to the very end please. As you know, Mia's story started in July when she was found wandering in South Carolina, flea-bitten and blind. Thanks to a long list of donors and dear friends, Mia had successful surgery September 19th and now she can see all the great things in her life--including her new forever family. Here's Mia relaxing with her two new Bouvier 'siblings' and friends, Hagrid and Georgia with 3 beautiful fenced acres to roam and play. Less than two weeks ago, right after returning from an Alaskan adventure, Laura and Bob Falconer met up with Mia; they found her to be charming and vice versa. Next came an introduction of dogs and then Mia went to the Falconer's home on Tuesday, October 2nd. Mia's new family lives just half an hour from Dr. English so she will continue to have follow-ups with her own surgeon! The entire family-- Bob, Laura, and their sons Josh and Caleb --are longtime animal lovers and dedicated Bouvier rescuers. Laura and I met as rescuers almost ten years ago and have stayed in touch over the years. When she expressed interest in Mia, I couldn't imagine a home more ideal for Mia than with this wonderful, dog savvy family. We are so happy that Mia has accepted us as her family. I had almost forgotten how much “life” a little dog added to the Bouvier mix. Mia has such character! Everything is an adventure to her. She works very hard to include every family member, 2 and 4-legged, into her circle of activity. And she gets good results. She is smart, loving and affectionate, playful, curious, brave and so cheerful. What a blessing she is to have around. 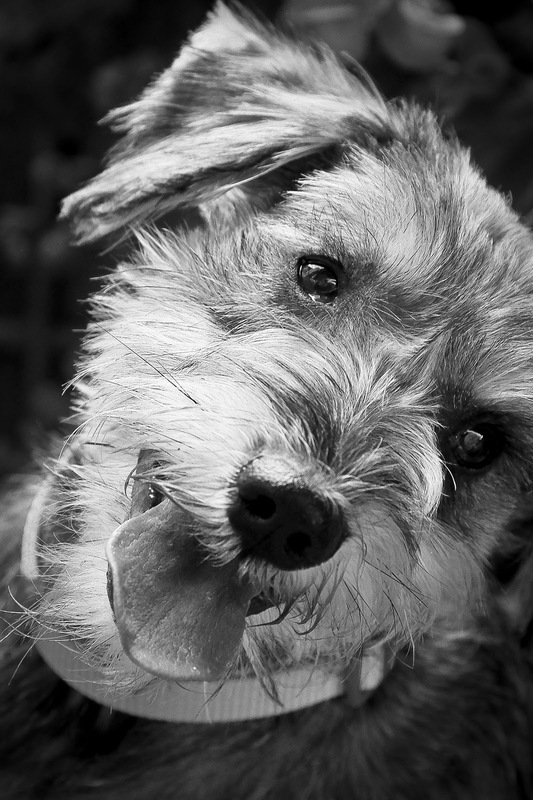 Our miracle bonus is the change we have seen in our recently adopted elderly Bouvier. Somehow Mia has been able to break through Georgia’s shell of indifference and get her to play. It is early yet, but Georgia is hesitantly responding to us as well. Poor Georgia retreated from her life several years ago. Her owner turned her over to us hoping we could bring her back around. Although I felt we would eventually break through, Mia helped to fast track the process. Mia takes a flying leap into Bob's lap and breaks into a happy grin! Keep scrolling..
Georgia shows Mia how to beg for ice cubes! Mia's a fast learner. And this was one of my favorites from Mia's new Mama: Mia, eats like a horse, sleeps like a baby and plays like a monkey. Chibi (late beloved Bouvier) was our cheerleader and I’ve missed having one of those personalities in our home. Mia seems to have taken over that role. Not only does she make the peeps smile, but she keeps the big dogs entertained as well. She could not be a more perfect fit. Oprah may have Dr. Oz, but Mia has "Dr. Eyes" Mia went to her 3 week recheck last week ! "Dr. English said that she looked better than a dog several months post surgery and it’s only been 3 weeks. He didn’t know what to attribute that to, just smiled a lot and shook his head in wonder." Thank you again to each of you for your help. Mia's new beginning was a collective effort that is because of so many kind hands and hearts. We cannot have happy endings for dogs like Mia without your generosity. www.SchnauzerRescueoftheCarolinas.org Thanks to director Anita McGuire for introducing us to Dr. English, for offering us foster care for Mia, for many emails of encouragement and more...and to Cathey Holden for being Mia's foster home and caregiver before, during and after her surgery, for almost two months. www.btrnc.org Although Mia was clearly not a Boston Terrier, two Boston Terrier rescuers were first responders when I sent out the S.O.S--I am so grateful to new friends Jan Holsinger, intake foster coordinator and Jessica Mills Brown for sponsoring ALL of Mia's initial veterinary work. How could people have just walked on by and ignored this? Mia followed by Georgia and Hagrid bringing up the rear. Mia, Georgia and Hagrid to the rear (again). It's a beautiful day....and Mia can see it! The surgery was a success! It took three hours to restore Mia's sight with no complications. Thank you ALL for your prayers and good wishes to help Mia through this delicate procedure. She is ready for a forever home and to SEE her new family! Could that be you? 9-13-12: MORE GOOD NEWS! Hello to all of Mia's friends and supporters! 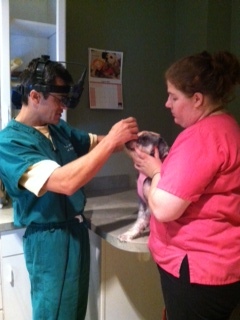 Six days from now, Mia will have her cataract surgery! Did you ever see a more content looking pup? As each of her foster homes has said, Mia doesn't 'act' blind, and learns to navigate homes so quickly. The only mishap at Cathey's house was when Mia once walked into a door--but that door is usually kept open. She is smart, loving, cuddly, super sweet with other animals---and next week she will be sighted. Cathey will be taking video so you will be included in this exciting process. We can't wait to share it with you. Thank you so much for your huge hearts. 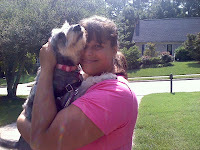 And thank you for Schnauzer Rescue of the Carolinas for letting Mia stay with one of their best foster homes! Thanks to the huge outpouring of generosity, Mia's surgery is now a reality. pack. Cathey is a foster home for Schnauzer Rescue of the Carolina's, and we cannot thank them enough for sharing! Cathey is familiar with and dedicated to the eye surgery procedure with Dr. English, and understands how critical the care is for cataract surgery and post-surgery. Cathay's photo is the first attachment on the right when Mia first arrived. On August 14th Mia met Dr. English at the Animal Eye Care Veterinary Opthamology Practice in Cary, NC (first photo attachment on left) Her current foster Mom, Cathey (who is usually a foster Mom for Schnauzer Rescue of the Carolinas and has offered to help during this critical period) wrote the following summary after her visit: Mia is a candidate for surgery. Because her right eye is very small and her left eye is smaller, with the surgery and good results, her right eye will hopefully see a 75% improvement and her left eye 85%. Because her surgery will be more involved and will take 3 hours, they could not schedule it until September 19th . Hooray! Whoo Hoo! And all that good stuff! Mia will still need a forever home and based on how loving and smart she is, we know that once she sees again she will indeed have a wonderful home--we hope to adopt her to a home in the Raleigh area, so that she can continue to see Dr. English for follow-ups and to monitor her as needed in the future. 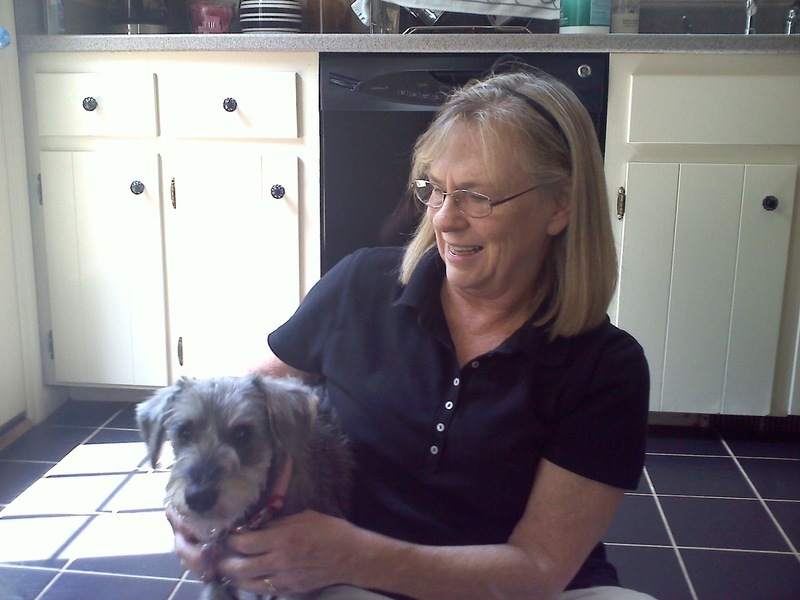 I don't have photos of Jennifer and Troy who took Mia into their home and fostered for 12 days--their wheaten and schnauzer were wonderfully accepting of Mia. Jennifer and Troy took Mia for her spay and a spay scar was found prior to surgery! I cannot thank each of you for helping ME get through this challenging time--special thanks to the foster homes, Mia's sponsors and donors, the Animal Adoption League and their wonderful photographer Sharon Albright, and Anita McGuire, Director of Schnauzer Rescue of the Carolinas for their never-ending help. I look forward to sharing Mia's surgery success story with you soon. Thank you for helping us raise the funds for Mia's eyes to see again! 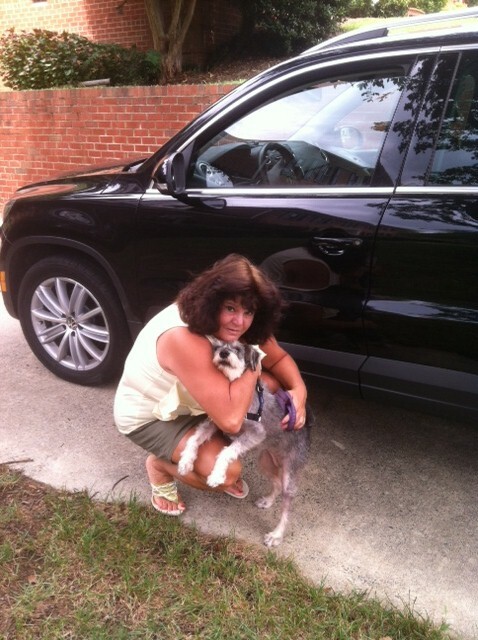 7/30/12: UPDATE ON MIA- From Laurie: Mia is doing well and is still in foster care. 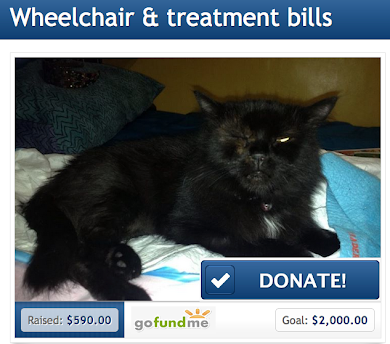 Thank you so much for your support--we aren't at our goal for surgery yet but are confident it will happen. She is getting spayed tomorrow, and we look forward to the day when she will see --and to a wonderful forever home when it is meant to happen. 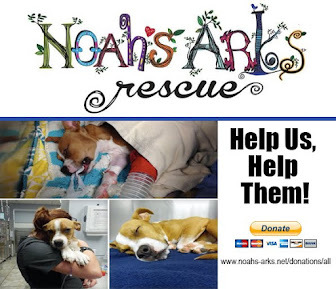 CLICK HERE TO READ MORE ABOUT MIA'S SURGERY NEEDS AND CHIP IN IF YOU CAN. being the perfect doggie family member. 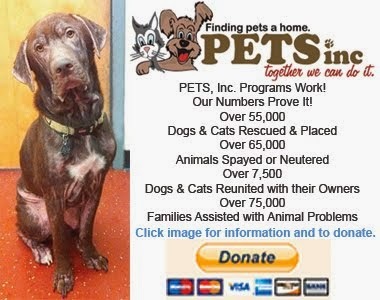 I was contacted by a woman who found this dog about six months ago; she wasn't sure if she was going to keep her but waited months to contact me. I am sure she meant well but has kept this blind female dog OUTSIDE in this heat without taking her to the vet for any flea and tick prevention, shots, deworming, checkup or hw meds. The dog has to be going nuts and left alone in the heat and storms outside makes me so sad for her. please if you can help so we can get her out of her misery, she is scratching so I will try to get some flea and tick prevention to the lady asap. The foster family has four miniature schnauzers and Mia is larger than them, so she might be standard schnauzer with something else but to me she looks mostly schnauzer--I honestly can't discern anything else in her. Not spayed yet but will be, and will be chipped at that time. Mia had a complete blood workup at the vet to check all systems and she is healthy and estimated at 3-4 years old. She has what appears to be cataracts in her eyes and has partial vision in one eye during the day but it's hard for her to see at night. 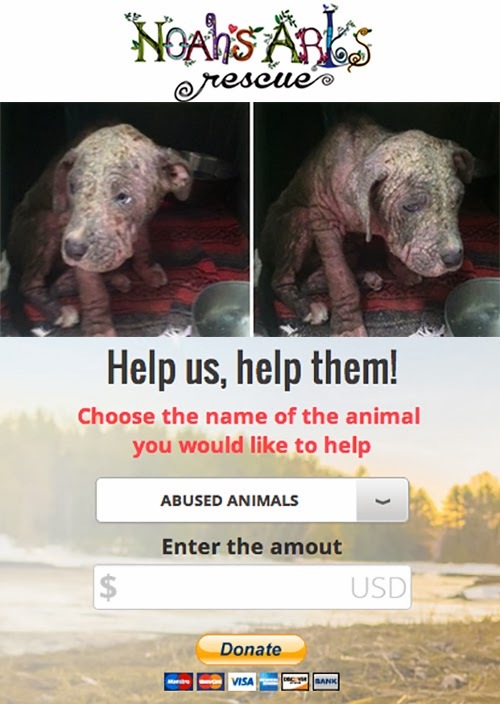 We want to get her to a specialist and if possible, raise funds if her eyes can be corrected. Around here a double cataract surgery is around $3500. We have had an offer from a blind dog rescue to take her in, and we are talking about it this week. We'd love to find her a forever home that would be able to give her some stability and understands her needs AND can pay for her surgery if she is eligible. Her foster Mom has four schnauzers who have accepted Mia as part of their pack and Mia LOVES them. Mia is a super snuggler, and is housetrained, and her foster family has pronounced her as 'perfect'. She will stay close to her foster Mom's legs when she is on walks (they do not put her in the yard but walk her as she would walk into a fence. She LOVES to take walks. She has found every dog bed in the house and has tried them all out. She sleeps with her humans and is a well-adjusted and gentle and happy girl.